Teen's dad said they are "extremely grateful to Apple." 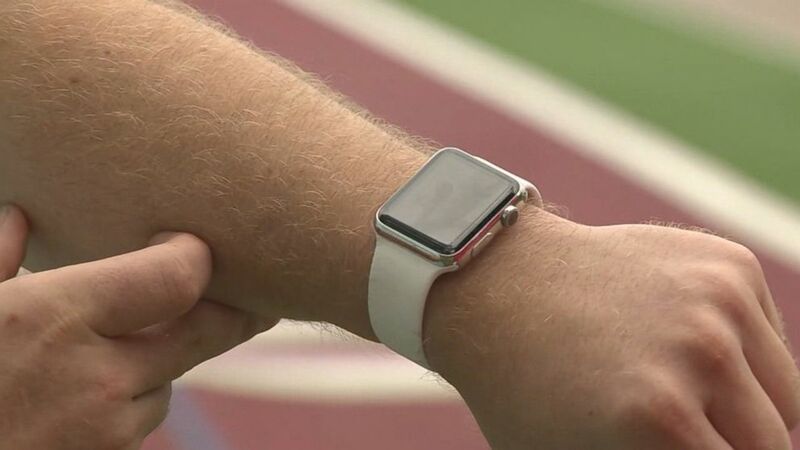 A high school senior from Cape Cod, Mass., credits his Apple Watch with saving his life after he fell ill at football practice. In early September, Paul Houle Jr., 17, bought himself an Apple Watch with his hard-earned money from his summer job, he told ABC News. A few days later, on Sept. 8, Paul finished his second football practice of the day at Tabor Academy, a boarding school in Marion, Mass., when he "started to have some back and chest pain," Paul told ABC News. "I didn't think much of it. I thought I was just sore and I would feel better the next day," he said. But then he noticed his heart rate on his Apple Watch, and "my heart rate showed me it was double what it should be. That gave me the push to go and seek help," Paul said. His father, Dr. Paul Houle, a neurosurgeon from Centerville, Mass., told ABC News that his son's heart rate was 145, "which is double what it normally is so he brought it to the attention of the athletic trainer." The trainer took Paul to the school health center, and health center workers took him to the emergency room, Dr. Houle said, where they learned Paul had a condition called rhabdomyolysis. "That means that your muscle breaks down and floods your system with protein," Dr. Houle said. "It can effect multiple organs." Dr. Houle said Paul's kidneys, liver and heart showed some damage. Paul spent several days in the hospital. He's now feeling better and back at school, Dr. Houle said, but he hasn't started playing football yet. And both father and son are thankful the Apple Watch alerted Paul to the problem. (WCVB) High school senior Paul Houle Jr. credits his Apple Watch with saving his life. "If it wasn't for the Apple Watch to alert him to the fact that there was a problem, he probably would have just gone back to bed. He would have showed up for practice the next day and would have been one of the kids you read about every fall, who drops dead on the football field," Dr. Houle said. "The damage to his muscles would have led to kidney problems, which would have led to electrolight disturbance in his system and caused his heart to fail," Dr. Houle said. Paul got a phone call from Apple CEO Tim Cook himself, who told him that "everybody at Apple was thinking of me," Paul said. "He [Cook] wanted to make sure I was OK," Paul said. Paul said Cook even offered him an internship at Apple and a new phone. "He said that I'll always have a place with Apple," Paul said. Apple media relations did not immediately respond to a request for comment.